The nature and function of consciousness must first be addressed before the concept of life after death is considered. After all, if we happen to be immortal then it must be a non-physical form of consciousness not bound by space and time that, in some way, persists after death. Researchers have attempted to identify the brain’s neural substrate responsible for consciousness, as manifested in the ability to perceive and interpret the relationship between oneself and the environment, self-awareness, intentionality, and abstract thinking, among other associated topics (e.g., NDE, OBE, reincarnation, appiritions, mediumship, parapsychology, and quantum physics, etc.) which incorporate the possibility of the continuity of consciousness after death. The concept of consciousness has been a source of controversy among scholars for centuries. Religions such as Christianity, Judaism, and Islam, for instance, generally associate consciousness with the brain, which interrelates with the human “soul”. Those who ascribe to the consciousness–body dualism theory proposed by R. Descartes in 1641, believe that consciousness and the brain are separate but affect each other. In contrast, materialists believe that consciousness is associated with brain activity and can be explained in terms of matter and physical phenomena. And if consciousness is simply a by-product of brain functioning, then our ability to experience the world will of course cease once the brain’s neuroelectric activity ends. Alternatively, if consciousness is not dependent for its existence on a normal operating brain, then our sense of self may survive bodily death in some unknown realm of existence. The behavior of subatomic particles, which serve as the foundation of quantum mechanical phenomena, has many strange characteristics. Experiments in quantum physics, for instance, have demonstrated the instantaneous connections which remain between particles that once interacted physically but then became separated; that is, this quantum entanglement of one electron of an entangled pair somehow “knows” what measurement has been performed on the other and the associated outcome. Strangely, this occurs despite the apparent inability to explain how such information is communicated between the particles, which at the time of measurement may be separated by distances of over billions of light-years. This paradoxical behavior is referred to as “non-locality” – the ability of two objects to instantaneously know about each other’s states even when separated. For example, particle A and particle B interact and become mysteriously bonded. Then, when particle A undergoes a change, particle B undergoes the same change even though they are not visibly connected; that is, even though they are separated they remain linked in such a way that the quantum state of any one particle cannot be adequately described without consideration of the others.27 An extension of such enigmatic behavior of subatomic particles may be applied to consciousness and its influence on physical sysytems. Quantum theory, for instance, suggests that subatomic particles exist in an undefined state of potentialities and do not become “real” until a mind interacts with them to give them meaning. This has been demonstrated in experiments by which simply making a measurement or by through the observer’s conscious intent, the outcome of an experiment can be changed. Considered by A. Einstein as “spooky action at a distance”28, 29 the apparent interconnection of subatomic particles being observed and the observer has been demonstrated in the “double-slit experiment” whereby the behavior of electrons act differently when witnessed than when no one is watching as it passes through two slits in a barrier. For example, the particle behaves like a speeding train and goes through one slit or the other but if a person doesn’t watch the particle it acts like a wave and passes through both slits at the same time. Accordingly, matter and energy can behave as either a wave or particle based upon one’s conscious perception. This effect is also seen when a single electron passes through two different holes on a screen simultaneously. It remains a single particle on the other side but if a light is flashed on it to observe through which hole it passes, then it will pass only through one of the two holes. Such experimental outcomes led D. Radin, Chief Scientist at the Institute of Noetic Sciences, to consider that entanglement in the subatomic quantum domain are responsible for the non-local events we experience. He wrote, “observation not only disturbs what has to be measured, they produce it. We compel the electron to assume a definite position. We ourselves produce the results of the measurement.”30 Physician J. Schwartz and physicist H. Stapp also contend that the answer to how mental states can influence physical states lies in the discoveries of quantum physics31 and “consciousness” which serves as the most “perplexing subject in science”. A similar perspective was advanced by Niels Bohr, one of the foremost scientists of modern physics who concluded that, “everything we call real is made of things that cannot be regarded as real” and that “there is no local cause for an event, and when an event occurs it instantaneously alters the universe.”32 Other noted scientists such as physicists E. Wigner and B. Josephson and mathematician J. von Neumann argue that this non-local effect may form the basis of consciousness. 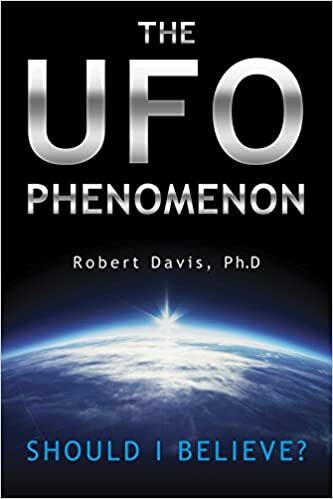 These perspectives, combined with and the associated implications of the inexplicable behavior of subatomic particles of how consciousness creates reality, has generated more questions than answers within mainstream science. Validated experiences such as this provide indirect evidence to help justify how consciousness and our physical material world may interact. And such anecdotal evidence should serve as a foundation for studies which may advance our understanding of the mind-brain relationship, the theoretical non-local aspects of consciousness, and even life after death. In a comprehensive review of the literature, D. Radin reported that approximately 15 percent of pairs of people show “non-chance EEG correlations.”49 This evidence suggests that intuitively perceived information may be non-local; that is, it is time independent and does not obey the inverse square law for space/time energy propagation. But understanding the mechanics of non-locality does not exist in traditional scientific models. Some physicists explain non-local intuition on the basis of super-luminal speed of propagation (i.e., instantaneous communication) or the zero point as a zero dimension which is resonant with all parts of the universe simultaneously. Radin and his colleagues also attempted to find experimental evidence of consciousness influencing quantum effects using an extension of the double-slit experiment.51 Their study involved asking meditators to imagine that they could see which of the two slits the photon passed. Briefly, the results from 137 subjects of both experienced meditators and non-meditators who took part in 250 sessions consisting of alternate sets of 30 seconds of observation with 30 seconds of rest indicated a significant effect size with the meditators. This positive outcome led them to conduct an internet-based experiment which comprised over 5,000 sessions completed by human subjects and over 7,000 performed by a ‘Linux’ robot as a control. The subsequent outcomes, which also demonstrated a significant effect51a, requires further research by independent investigators to determine if such non-local effects can be replicated to help validate non-local intuition. In a related study to test the perception of information of a distant or future event, neuroscientist Benjamin Libert analyzed EEG recordings to determine precisely when subjects made a decision to act prior to simple behavioral tasks (e.g., moving fingers).52 Interestingly, Libert found that the brain responded a few milliseconds before the decision to act, which he termed the “readiness potential”. A similar conclusion was made by Radin who observed that skin-conductance activity reacted appropriately consistent a few seconds prior to randomly presented emotionally calming or upsetting computer pictures.53 Similarly, experiments using electrocardiogram measures of heart rate variability detected a significant pre-stimulus cardiac change starting about 18 seconds before participants knew the future outcome of an event.54, 55 Collectively, the evidence from these studies suggest that the brain’s regulatory mechanism may be activated just before conscious will to allow a brief period for consciousness to override a decision. Despite objective evidence of correlations between non-local intuition and associated physiological measures, further justification is required to validate this cause-effect relationship. This is a necessary step to help explain the possible force which may govern and regulate the means for such information transmission. The possibility that human intention can affect physical systems has also been studied in a variety of group settings (e.g., meditations, ceremonies, and important global events 56-65) and in individuals.66-68 This theory was tested as part of the Global Consciousness Project (GCP) led by psychologist R. Nelson, the Director of the Princeton Engineering Anomalies Research Lab (PEAR). In this unique study, the output of a worldwide network of one hundred computer random event generators (REG) which continuously emitted ones and zeros in a random pattern, was analyzed by a supercomputer at Princeton University to identify any statistically significant deviation from randomness that may be influenced by major world events. Interestingly, such deviations were reported when major events elicited the attention of millions of people to a single point in time. This outcome led the researchers to conclude that such changes in the REGs were caused by a field of consciousness strong enough to affect artificial intelligence which proves “we are all one”.69 What is especially both interesting and difficult to understand is that this anomaly was mostly predictive, often happening hours before the original event occurred. For example, researchers found one such significant irregularity several hours before the terrorist attacks on September 11. The mathematical analysis of the data showed that the New York computer broke the 1 to 0 ratio of 50:50 to 1:35. Similar results occurred before attacks by Al Qaeda in Madrid in 2004 and London in 2005, the tsunami that devastated Southeast Asia, and the election of President Obama. Despite existing controversies associated with the PEAR study, the replication of their research outcomes by independent investigators would reinforce the proposed existence of a “global consciousness” that knows of a major event before our individual consciousness does. What is most interesting, however, is that this same type of intuitive foreknowledge was reported in the electrocardiogram and EEG studies by Libert and Radin noted previously. The collective study results, therefore, suggest that one’s consciousness may have the potential to react to a strong emotional event before it is actually experienced. While evidence to support non-local intuition is an important step towards understanding the potential capabilities of consciousness, it is another thing entirely to explain the nature which governs and regulates this phenomenon. Within this context, Tiller discovered that the vacuum space considered as empty, contains immensely powerful substances that cannot be seen which can be affected by human intention. An in-between substance made of particles he called “deltrons” are activated which affect the substances we see. Interestingly, he contends that the energy in the vacuum space of a single hydrogen atom is as “great as all the electromagnetic energy found in everything within 15 billion light-years of our space-time cosmos”. What is especially interesting is that he believes that human intention can act on this powerful realm which mainstream science views as empty space. According to Tiller, this allows one to observe and measure the impact of human intention on this otherwise undetected substance.84a, 85 Based on this principle, an instrument he developed called an “Intention Host Device” provided the means by which good intentions broadcasted by the device significantly helped to: 1) enhance the skill sets and integration of 34 autistic children, and relieved the depression and anxiety of their parents, and 2) reduce depression and anxiety in hundreds of people located over 1,000 miles away.85a It should be noted however, that his experimental methodology and evidence is considered highly controversial and “full of holes” by several physicists. Despite existing anecdotal and experimental evidence suggestive of non-locality, concepts proposed by the Quantum Holographic Principle, the Synchronized Universe Model, or the Quantum Bayesianism theory (i.e., quantum information is a function of our own minds),86 which theoretical physicist N. Mermin considers to be the “most powerful abstraction we have ever found”,86a may provide the foundation to validate and explain the nature and potential of consciousness. Clearly, however, evidence to support non-locality must be reproduced by independent researchers, and must await new developments in science to definitively explain this phenomenon. Additionally, the difficulty controlling numerous confounding variables in clinical tests of non-locality diminish the validity of the resulting outcomes and associated conclusions. Scientific principles within the domain of quantum physics may hold the key to unlock the mystery of how consciousness relates to the brain during life, as well as during brain death. This potential outcome is supported, in part, by experimental results of subatomic quantum entanglement, which should serve to stimulate active research of this phenomena in humans. But before a possible all-encompassing theory is developed and confirmed, a required prerequisite is to devise appropriate techniques to identify, if at all possible, the underlying neurological correlates of consciousness, the mind-brain connection, and nonlocal intuition. After all, if a field of consciousness strong enough to affect artificial intelligence is confirmed, such evidence may suggest that a form of energy exists apart from the body. Consequently, this finding may provide supporting rationale for the persistence of consciousness following the death of the body. After all, neuroscientists have been unable to adequately explain how the brain facilitates one’s concept of self, beliefs, and reasoning and decision making processing. And until we attain a better understanding of these elusive concepts, the controversies surrounding consciousness and its’ possible continuation after death will continue to serve as a source of debate, controversy, and above all, hope. 1. David Chalmers, “The Puzzle of Conscious Experience.” Scientific America (2002): 92. 2. David Chalmers, The Hard Problems of Consciousness. in Consciousness: eds. M. Velmans and S. Schneider. (London: Blackwell, 2007). 3. A. R. Damasio, “How the Brain Creates the Mind.” Scientific America (2002): 92. 4. D. M. Stokes, Mind, Matter and Death. in The Survival of Human Consciousness: Essays on the Possibility of Life after Death: eds. L. Storm and M. A. Thalbourne. (North Carolina: McFarland, 2006). 5. E. P. Wigner, Remarks on the Mind-Body Problem. in Quantum Theory and Measurement: eds. John Wheeler and Zurek Wojciech. (Princeton, NJ: Princeton University Press, 1983). 6. R. Penrose and R. Karl Giberson, “The Man Who Fell to Earth.” Science and Spirit (2003): 34. 7. “What Comes Naturally: Does Evolution Explain Who We Are?” Accessed May 12, 2016, www.newyorker.com/magazine/2002/11/25/what-comes-naturally-2. 8. “God Enough.” Interview of Stuart Kauffman by Steve Paulson. Accessed February 18, 2016, http://www.salon.com/env/atoms_eden/w008/11/19/stuart_kauffman/index1.html. 9. Amit Goswami, Physics of the Soul: The Quantum Book of Living, Dying, Reincarnation, and Immortality. (New York, NY: Hampton Roads Publishing, 2001). 10. “John Eccles on Mind and Brain” by David Pratt. Accessed January 8, 2016, http://www.theosophy-nw.org/theosnw/science/prat-bra.htm. 11. “Max Planck: I Regard Consciousness as Fundamental.” Accessed January 10, 2016, http://bigthink.com/words-of-wisdom/max-planck-i-regard-consciousness-as-fundamental. 12 “Death Is Not Final.” Accessed February 2, 2016, http://www.youtube.com/watch?v=h0YtL5eiBYw&app=desktop. 13. “UCLA Psychologists Report New Insights on the Human Brain and Consciousness.” Accessed March 3, 2016, http://newsroom.ucla.edu/releases/ucla-psychologists-report-new-248299. 14. “Consciousness and Neuroscience.” Accessed March 3, 2016, http://www.paradise.caltech.edu/cook/Workshop/Conscious/crick-koch-cc-97.html. 15. “The Center for Sleep and Consciousness.” Accessed March 10, 2016, www.centerforsleepandconsciousness.med.wisc.edu/. 16. J. B. Bernard, “The Conscious Access Hypothesis: Origins and Recent Evidence.” Trends in Cognitive Sciences 6 (2002): 47. 18. P. Nelson, S, Velanova, K, Petersem S and M. Wheeler, “Evidence Accumulation and Moment of Recognition: Dissociating Perceptual Recognition Processes Using fMRI.” Journal of Neuroscience 27 (2007): 11012. 19. S. Nelson, N. Dosenbach, A. Cohen, B. Schlaggar B and S. Petersen, “Role of the Anterior Insula in Task-Level Control and Focal Attention.” Brain Structure and Function 214 (2010): 669. 20. A. Craig, “The Sentient Self.” Brain Structure and Function 214 (2010): 563. 21. H. Kikyo, K. Ohki and Y. Miyashita, “Neural Correlates for Feeling-of-Knowing: An fMRI Parametric Analysis.” Neuron 36 (2002): 177. 22. “Neurorobotics Reveals Brain Mechanisms of Self-Consciousness.” Accessed March 19, 2016, www.sciencedaily.com/releases/2011/04/110427131818.htm. 23. “Consciousness, Science, and Life after Death. Researchers May Have Discovered The Consciousness On/Off Switch.” Accessed March 3, 2016, http://www.iflscience.com/brain/researchers-may-have-discovered-consciousness-onoff-switch. 25. H. Romijn, “About the Origin of Consciousness. A New Multidisciplinary Perspective on the Relationship between Brain and Mind.” Proc Kon Ned Akad v Wetensch 100 (1997): 181. 26. E. Wigner, Symmetries and Reflections. (Cambridge, Mass: M.I.T Press, 1970). 27. E. Schrödinger E, “Discussion of Probability Relations between Separated Systems. Mathematical Proceedings of the Cambridge Philosophical Society 31 (1935): 555. 28. R. Nadeau and M. Kafatos, Over a Distance and in “No Time”: Bell’s Theorem and the Aspect and Gisin experiments. in The Non-Local Universe. (New York, NY: Oxford University Press, 1999). 29. W. Tittel, J. Brendel, H. Zbinden and N. Gisin, “Violation of the Bell Inequalities by Photons More Than 10km Apart.” Physical Review Letters 81 (1998): 3563. 30. D. Radin, The Conscious Universe. (San Fransisco, CA: HarperCollins, 1997). 31. “What Comes Naturally,” Accessed March 14, 2016, www.newyorker.com/magazine/2002/11/25/what-comes-naturally-2. 32. “Physicists Claim that Consciousness Lives in Quantum State After Death.” Accessed March 22, 2016, www.outerplaces.com/science/item/4518-physicists-claim-that-consciousness-lives-in-quantum-state-after-death. 33. Paul Davies and John Gribbin, The Matter Myth: Discoveries That Challenge Our Understanding of Physical Reality. (New York, NY: Simon and Schuster, 2007). 34. Dr. Barbara Mango. Personnel communication. 35. “What is Consciousness,” Accessed March 13, 2016, http://mobile.nytimes.com/2016/07/05/science/what-is consciousness.html?r=2&referer=http://www.anomalist.com/. 36. Bob Berman and Robert Lanza, Biocentrism: How Life and Consciousness are the Keys to Understanding the True Nature of the Universe. (Kindle Edition. BenBella Books. 2010). 37. J. M. Utts, “Replication and Meta-Analysis in Parapsychology.” Statistical Science 6 (1991): 363. 38. R. G. Jahn and B. J. Dunne, “On the Quantum Mechanics of Consciousness, with Application to Anomalous Phenomena.” Foundations of Physics 16 (1986): 721. 39. Davis Bohm. Quantum Theory. (Englewood Cliffs, NJ: Prentice-Hall, 1951). 40. “Scientists Find Hints for the Immortality of the Soul.” Accessed March 23, 2016, www.skeptiko-forum.com/threads/scientists-find-hints-for-the-immortality-of-the-soul.1124/. 41. “Nick Herbert Home Page.” Accessed April 3, 2016, http://www2.cruzio.com/~quanta/. 42. “Henry Stapp.” Accessed March 12, 2016, www-physics.lbl.gov/~stapp/Compatibility.pdf. 43. “Compelling Evidence for the Afterlife.” Accessed March 8, 2016, http://compellingevidencefortheafterlife.com/?p=273. 44. L. Standish, C. Johnson, T. Richards and L. Kozak, “Evidence of Correlated Functional MRI Signals between Distant Human Brains.” Alternative Therapies. Health and Medicine 9 (2003): 122. 45. L. Standish, B. Kozak, L, Johnson and C, Richards, “Electroencephalographic Evidence of Correlated Event-Related Signals between the Brains of Spatially and Sensory Isolated Human Subjects.” Journal Alternative and Complementary Medicine 10 (2004):307. 46. J. Wackerman, J, Seiter, C, Keibel, and H. Walach, “Correlations between Brain Electrical Activities of Two Spatially Separated Human Subjects.” Neuroscience Letters 336 (2003): 60. 47. “New Study of Electroencephalographic Detection of ESP.” Accessed March 8, 2016, https://carlossalvarado.wordpress.com/2016/08/06/new-study-of-electroencephalographic-detection-of-esp/. 48. M. Kafatos and R. Nadeau, Over a distance and In “No Time”: Bell’s Theorem. (New York, NY: Oxford University Press, 1999). Journal of Alternative and Complementary Medicine 10 (2004): 315. 50. D. Radin, “Testing Nonlocal Observation as a Source of Intuitive Knowledge.” Explore (NY) (2008): Jan-Feb.
51. “Quantum Mind: Can Experienced Meditators Influence the Movement of Atomic Particles?” Accessed April 3, 2016, http://www.dailygrail.com/Mind-Mysteries/2016/6/Quantum-Mind-Can-Experienced-Meditators-Influence-the-Movement-Atomic. 52. Libert Benjamin, “Unconscious Cerebral Initiative and the Role of Conscious Will in Voluntary Action.” Behavioral and Brain Sciences 8 (1985): 529. 53. D. Radin, “Unconscious Perception of Future Emotions: An Experiment in Presentiment.” Journal Scientific Exploration 11 (1997): 163. 54. S. Rezaei, “Nonlocal Intuition: Replication and Paired-Subjects Enhancement Effects.” Global Adv Health Med 4 (2014): 23. 55. R. McCraty, “Electrophysiology of Intuition: Pre-Stimulus Responses in Group and Individual Participants Using a Roulette Paradigm.” Global Adv Health Med 5 (2014): 143. 56. D. J. Bierman, “Exploring Correlations between Local Emotional and Global Emotional Events and the Behavior of a Random Number Generator.” Journal of Scientiﬁc Exploration 10 (1996): 363. 58. R. Jahn, G. Bradish, Y. Dobyns and A. Lettieri, “Mind/Machine Interaction Consortium: PortREG Replication Experiments.” Journal of Scientiﬁc Exploration 14 (2000): 499. 59. D. Radin, Entangled Minds: Extrasensory Experiences in a Quantum Reality. (New York, NY: Paraview Pocket Books, 2006). 60. R. D. Nelson, “Multiple ﬁeld REG/RNG Recordings During Global Events.”The Electronic Journal for Anomalous Phenomena. (1997). 61. R. D. Nelson, “Correlation of Global Events with REG data: An Internet-based, Nonlocal Anomalies Experiment.” Journal of Parapsychology 65 (2001): 247. 62. “Global Consciousness Project: Exploratory studies.” http:// http://www.noosphere.princeton.edu. 63. “Extended analysis: terrorist disaster: September 11, 2001 Global Consciousness Project.” Accessed March 29, 2016, http://www.noosphere.princeton.edu/terror.html. 64. D. Radin, “Exploring Relationships between Random Physical Events and Mass Human Attention: Asking for Whom the Bell Tolls.” Journal of Scientiﬁc Exploration 16 (2002): 533. 65. L. I. Mason and R. P. Patterson, “Exploratory Study: The Random Number Generator and Group Meditation.” Journal of Scientiﬁc Exploration 16 (2002): 567. 66. B. J. Dunne, “Gender Differences in Human/Machine Anomalies.” Journal of Scientiﬁc Exploration 12 (1998): 3. 67. R. G. Jahn, B. J. Dunne, R. D. Nelson, Y. H. Dobyns and G. J. Bradish, “Correlations of Random Binary Sequences with Pre-Stated Operator Intention: A review of a 12 Year Program.” Journal of Scientiﬁc Exploration 11 (1997): 345. 68. R. D. Nelson, R. G. Jahn, B. J. Dunne, Y. H. Dobynes and G. J. Bradish, Field REG: “Consciousness Field Effects: Replication and Explorations.” Journal of Scientiﬁc Exploration 12 (1998): 425. 70. R. G. Jahn, “Correlations of Random Binary Sequences with Pre-stated Operator Intention: A Review of a 12-Year Program.” Explore NY (2007): May-Jun. 71. R. D. Nelson, R. G. Jahn, B. J. Dunne and Y. H. Dobynes, “Field REG: Consciousness Field Effects: Replication and Explorations.” Journal of Scientiﬁc Exploration 2 (1998): 425. 72. “Compelling Evidence for the Afterlife,” Accessed March 12, 2016, http://compellingevidencefortheafterlife.com/?p=273. 73. “A-Quantum Theory and Consciousness,” Accessed March 23, 2106, https://www.schumachercollege.org.uk/resources/audio-video-archive/chris-clarke%3A-quantum-theory-and-consciousness. 74. R. C. Byrd, “Positive Therapeutic Effect of Intercessory Prayer in a Coronary Care Population.” Southern Medical Journal 81 (1988): 826. 75. L. Dossey, Healing Words. (San Francisco, CA: Harper Publishing, 1993). 76. R. C. Byrd, “Positive Therapeutic Effects of Intercessory Prayer in a Coronary Care Population II.” Southern Medical Journal 81 (1988): 830. 77. F. Sicher, E. Targ, D. Moore and H. Smith, “A Randomized, Double Blind Study of Distant Healing in a Population with Advanced AIDS.” Western Journal of Medicine 169 (1998): 356. 78. B. Grad, Some biological Effects of the “Laying-On of Hands: A Review of Experiments with Animals and Plants.” Journal of the American Society for Psychical Research 59 (1965): 95. 79. L. Hendricks, W. Bengston and J. Gunkelman, “The Healing Connection: EEG Harmonics, Entrainment, and Schumann’s Resonances.” Journal of Scientific Exploration 24 (2010): 655. 82. R. Sheldrake, Seven Experiments That Could Change the World. (New York, NY: Riverhead Books, 1995. 83. “William Tiller,” Accessed April 6, 2016, www.tillerinstitute.com/. 84. W. Tiller, Subtle Energies and Their Roles. in Bioelectromagnetic Phenomena: ed P. Rosch. (New York, NY: Dekker, 2004).